Why would two people whom don’t live in a house, pay $20 to tour someone else’s home? 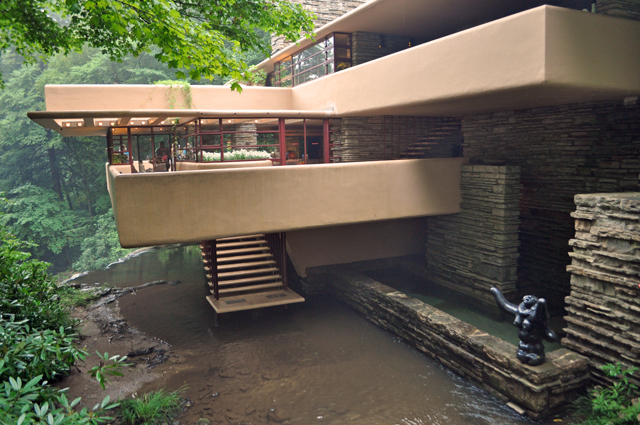 Well if you grew up in Illinois then you likely have an appreciation for Frank Lloyd Wright and have visited numerous buildings of his design. 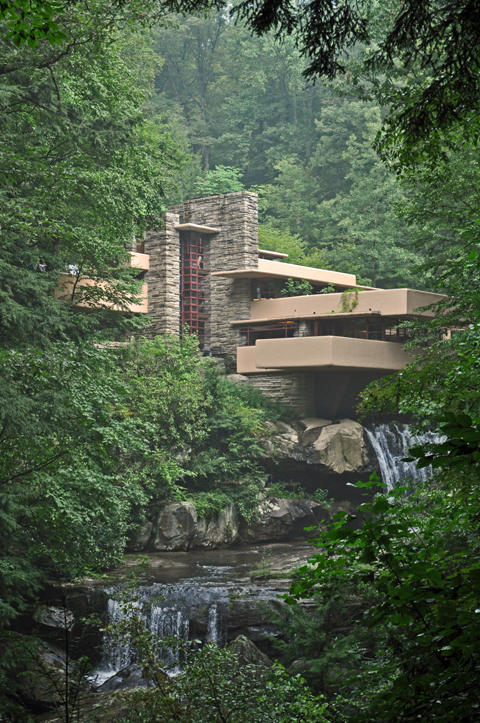 Fallingwater is considered by many to be the crown jewel of his long and amazing career. There is even a Lego kit to make it; no I don’t have that one….yet. I actually used to go to the gym next one called the Dana Thomas house. We took a drive last Sunday over to the grounds and waited our turn, becoming one of the more than 140,000 people whoever visit the home each year. I enjoyed the exterior elements of the home. How the waterway creates a swimming pool and soundscape for the home. I like how the house perched on top of the waterfall, a little scary. Unfortunately our docent was a dud! Plus we were with a group of two families with small kids; most of the tour was spent keeping them off of the furniture. The low scale of the furnishing was awkward and a little stark. The highlight of our visit was the art collection! Stunning, including two pieces by Diego Rivera, whom I’m a fan. It feels like your cheating to see his smaller works. It’s like you’ve gotten to see an intimate part of the larger picture. Or an image straight from his mind, put down on canvas to be used later. Like each small canvas is the birth of a mural. I would like to go back in another season, much like wanting to see Mount Vernon again. 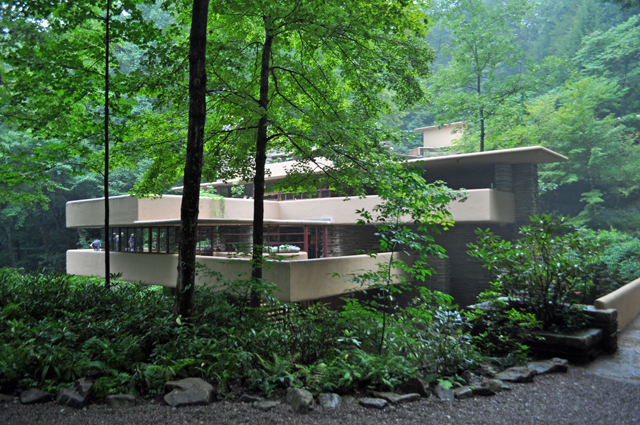 This entry was posted in Amazing Places and tagged Fallingwater, Frank Lloyd Wright. Bookmark the permalink. I grew up near Taliesin, in Spring Green, WI and in all the years I lived in PA, we never made it to Falling Waters. Great photos – we’ll definitely have to visit when we make it back east. I didn’t know you were a Midwestern Girl! Love the images but the 1st image is my fav!